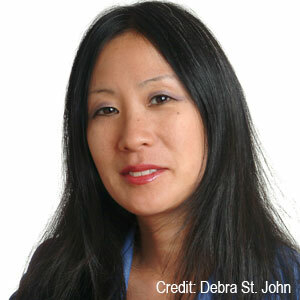 Joyce Lee is an award-winning filmmaker and writer with a fine arts background in painting and drawing. Embracing subjects that offer cross-cultural perspectives, Lee produces films that are socially relevant as well as entertaining. Her debut film Foreign Talk was one of the few films that tackled racial tensions between African Americans and Asians after the Los Angeles riots and won the grand jury prize at the Chicago Asian American Film Festival. In 2001, she received an award from ABC's New Talent Scholarship Program for her feature comedy screenplay, My Secret Wish. In 2007, she won the Women in Film-General Motors Acceleration Grant for Emerging Filmmakers, and received grants from the Creative Work Fund and the San Francisco Arts Commission, enabling her to collaborate with the Center for the Art of Translation in making the documentary Poetry Inside Out. Lee's films have shown in film festivals around the world and on PBS. Her film, Paper Words, a sister film to Poetry Inside Out, received national public broadcasts in 2011 and 2012. Paper Words is a 3D-animated story of a girl who struggles to fit in when she is placed in a new classroom in a new country. Lee is currently working on two scripts, a romantic comedy and a dramatic feature.